***Attention: All guests are required to check-in no later than 7:00 PM on their day of arrival. Please do not book if you are not able to meet this requirement. ***As of July 22, 2013, the rate includes breakfast and nearby Bar O'Netto (reservations made prior to this date do NOT include breakfast, but it is possible to have breakfast for an extra fee). Free WiFi is available at Bar O'Netto which is just a few minutes walk from the dorm. If you have not yet discovered the Tren Italia website, go to www.trenitalia.it to check train times, ticket prices, etc. Type in where you will be leaving from (making sure that you use Italian names for cities, e.g. FIRENZE and not FLORENCE) and where you want to arrive (in this case, RIOMAGGIORE). The site will do all of the work for you (including connections, travel times, etc.). All of the best solutions for your travel itinerary will be displayed. You can even purchase e-tickets or ticketless tickets online! 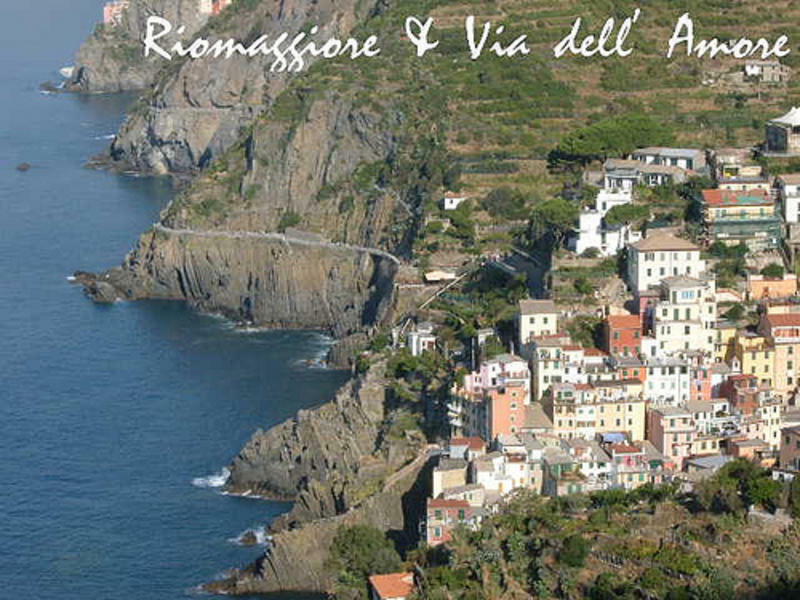 *When you arrive in Riomaggiore, you will need to first come to BAR O'NETTO located on via Malborghetto #4 for check-in. After you have checked in we will take you to your accommodations. TIP: If you are arriving by train from La Spezia, keep in mind that Riomaggiore is only an eight minute train ride away (we will be the very first stop). Depending on what train car you are riding in, there is a possibility that when you stop in Riomaggiore you will find yourself inside a tunnel. Double check with other passengers to ensure that you have reached the Riomaggiore stop and then exit the train and proceed to the exposed platform. -When you exit the Riomaggiore train station, you will find yourself in a small piazza with a fountain and a large mural on the wall to your right. -Head in the direction of the mural and when you arrive at the tunnel, go through it. -At the end of the tunnel, the main street of Riomaggiore will be on your left (via Colombo). -Go up this street approximately 20 yards (less than a minute walking). -Via Malborghetto is the little lane on your left that runs under the portico. -Look for the sign for BAR O'NETTO, which is sandwiched between La Lampara restaurant and Le Cinque Perle profumeria. -Check-in will be performed at Bar O'Netto and then we will take you to your dorm.